Product: Mashers 40ml Bicchieri Clear Disposable Plastic Cocktail Shot Glasses – Packs of 50 was added to cart. Get the party started with Mashers’ Bicchieri Clear Plastic Disposable Cocktail Shot Glasses! A great addition to birthday parties, cocktail functions, summer BBQs, and wedding buffets, they are made from durable plastic and designed to hold up to 40ml of your favourite tipple. 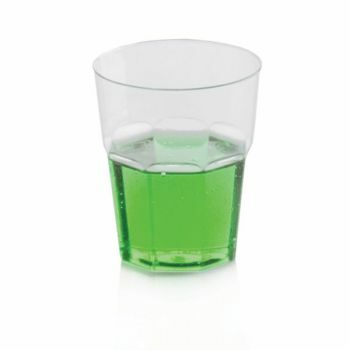 Perfect for serving jelly shots, mini desserts, and cocktails, these disposable plastic shot glasses are washable, reusable, and supplied in packs of 50 or 1000 for bulk wholesale orders.